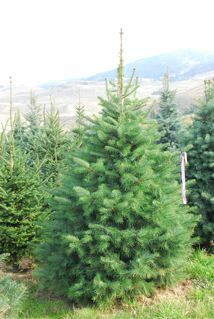 Woodhaven Tree Farm - Why You Should Choose a ‘Real Tree’ this Christmas! 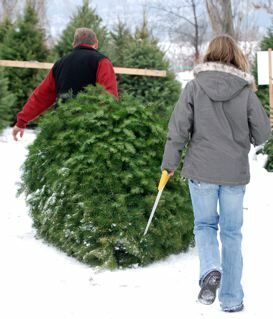 Shoppers are always confronted with the seasonal choice to celebrate Christmas with a fresh cut ‘natural' Christmas Tree—or an ‘artificial’ one! While some may think it makes no difference at all, others know that it makes a huge difference—to all of us! Here’s why! In the first place, whether we agree or disagree, ‘environmental issues’ have become critically significant in our world today. And because artificial trees are made from non-renewable resources that cause pollution, and because they are not ‘biodegradable’ and ultimately burden our increasingly scarce community ‘landfill sites’ for hundreds of years to come, it probably isn’t the best idea to go out and buy an industrially manufactured tree that has been transported half way around the world! Our planet will thank you for accepting the ‘natural’ and ‘better’ alternative! A Real Christmas Tree!! Real Christmas Trees benefit the environment from the time they are planted until after the holiday season and they are recycled. Today, most ‘Christmas Trees' are grown as an agricultural crop like apples or pears! It takes seven to twelve years to grow a tree of average retail sale height of 6 – 7 feet, (the average being about eight years). While growing, these trees support life by absorbing carbon dioxide out of our atmosphere (reducing the earth warming ‘green house’ effect of CO2 in the atmosphere), and in the process, they release large volumes of valuable oxygen back into our atmosphere. (Just one acre of living Christmas Trees produces enough oxygen to meet the daily oxygen requirements of eighteen people.) Real trees also benefit us by serving as air filters absorbing airborne pollutants; they provide excellent habitat for wildlife; help stabilize our watershed—enhancing and enriching the esthetic beauty surrounding our communities. In addition, they also provide a wonderfully fresh ‘aroma’; and contribute to a very pleasant and ’traditional’ family experience during the festive holiday season that artificial trees cannot begin to replicate! In addition, real trees are biodegradable, breaking down into an excellent mulch that will provide nutrients for other plants for years to come. Being kind to our environment and at the same time helping children develop wholesome ‘family traditions’ and ‘family roots’ is important!! Your children and grandchildren will love you for it!! Unquestionably, a 'Real Tree' is the ‘right’ choice! It is the best choice—for our environment and for our families! Thank you for seriously considering a ‘Real Tree’ this Christmas!